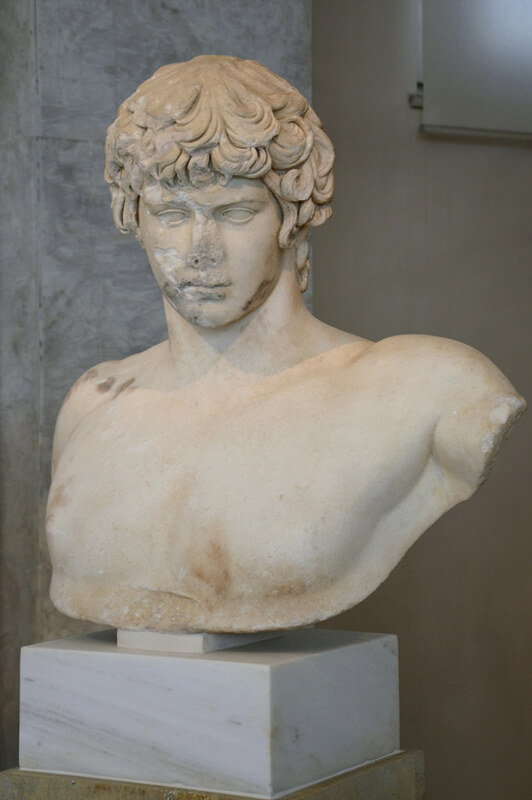 Antinous, from Hadrian’s Villa, late Hadrianic period 130-138 AD. 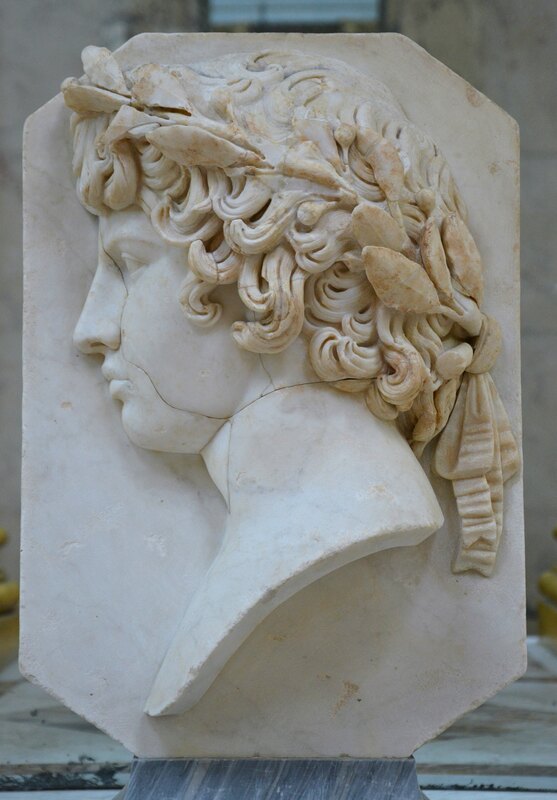 Antinous as Silvanus (god of woods and fields), harvesting grapes, marble relief, 130–138 AD, from Torre del Padiglione. 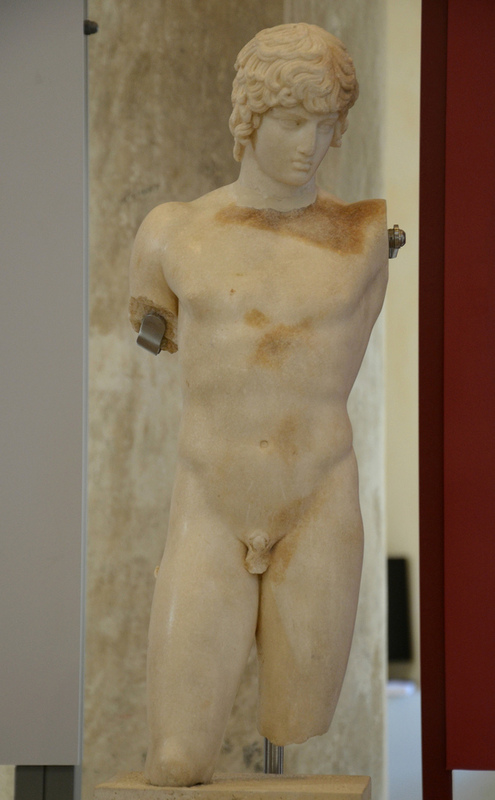 Marble statuette of Antinous, was found in Athens in a cistern. 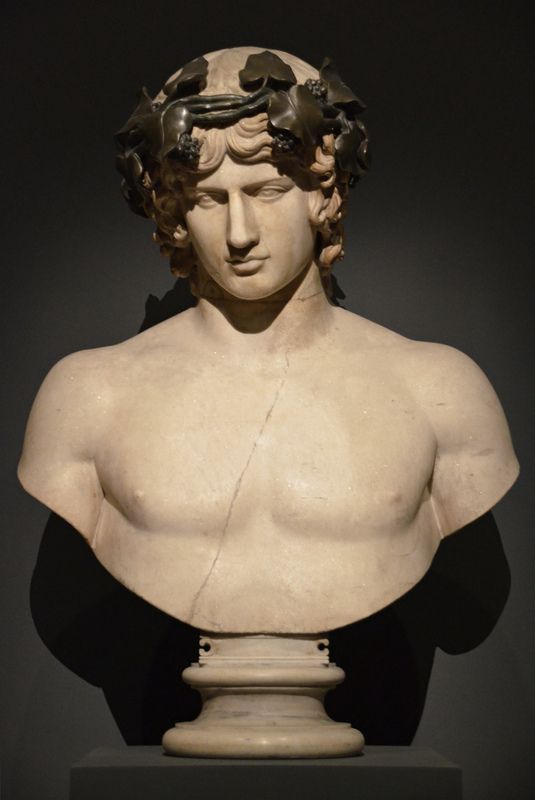 Relief with a portrait of Antinous crowed with a laurel wreath. 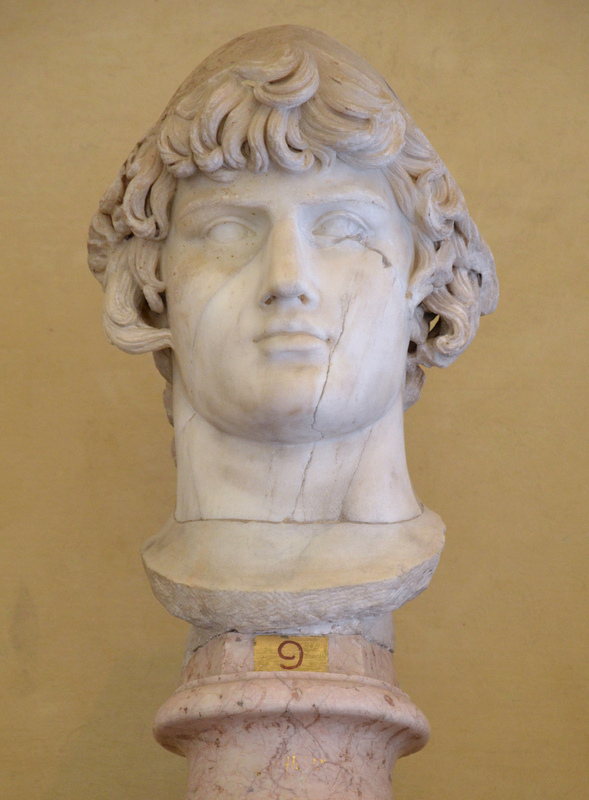 The marble slab, nose, lips, chin and neck are modern. 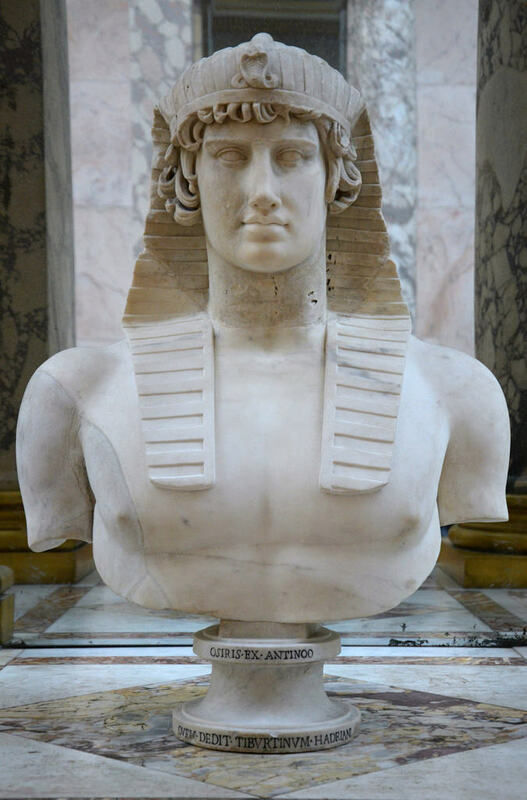 Marble bust of Antinous, from the Hermitage Museum. 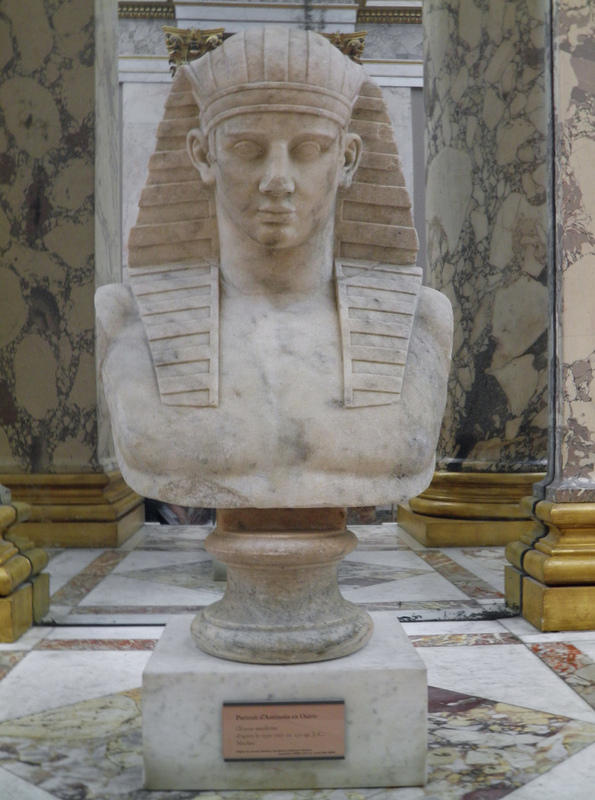 It’s interesting, don’t you think…that while most writers on Roman history are male, those on Hadrian have a fair number of women writers (Speller, Yourcenar, you). It would be fascinating to know the reason why. 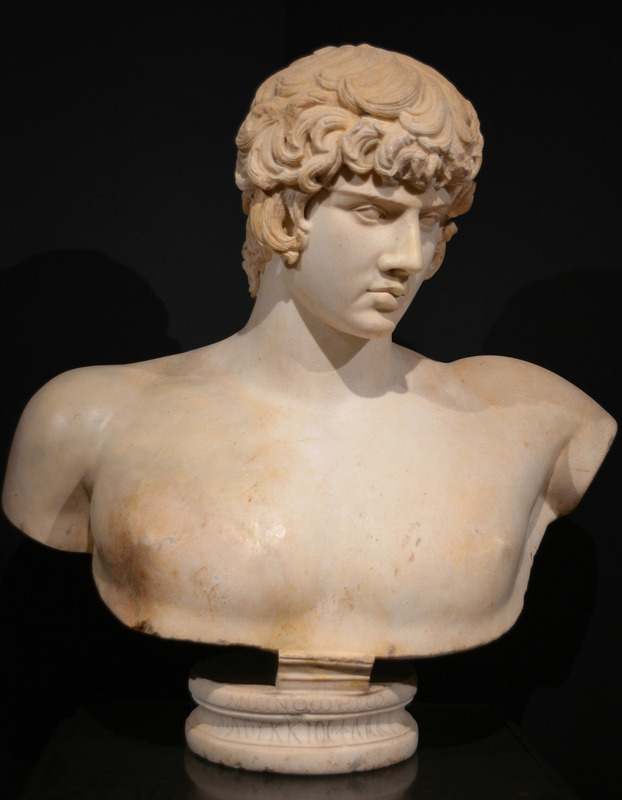 Do you think Antinous and his relationship with Hadrian plays a role? Perhaps Hadrian’s relationship with Sabina?